CT Single-Head Injector-Shenzhen Antmed Co.,Ltd. *) Some comments and explanation, thank you for your interest in our products, please leave your contact information, we will contact you shortly. If you have any questions, you can call us toll free telephone consultation service. Intuitive user interface, clear and concise information display to ensure user operation confidence. Expelling and arming are independent, Double confirmation ensures the safety of injection. Injection can be paused and resumed at any time during the injection. Injection stops when pressure limit is reached. Alerts with both light and sond. Warms contrast and saline to maintain at ideal temperature, which reducing patient’s adverse effect. 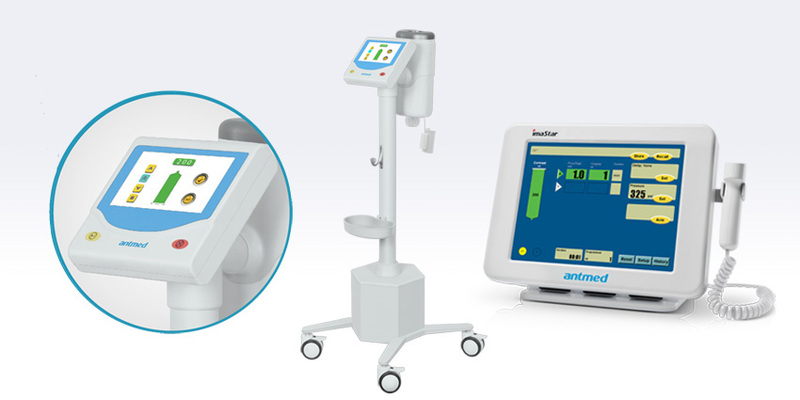 Display real-time pressure curve, monitor the pressure changes, lower risk of patients. Connect with other imaging equipment for enhanced imaging, use contrast more efficiently and minimize radiation. Copyright © 2014 Shenzhen Antmed Co.,Ltd..